Blank Page Muse: Oh! How I Love You, Won't You Be Mine? 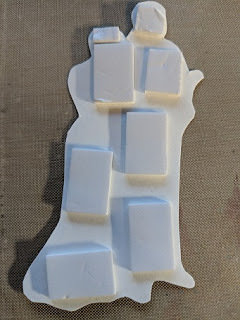 Hello and welcome to the Blank Page Muse Blog! 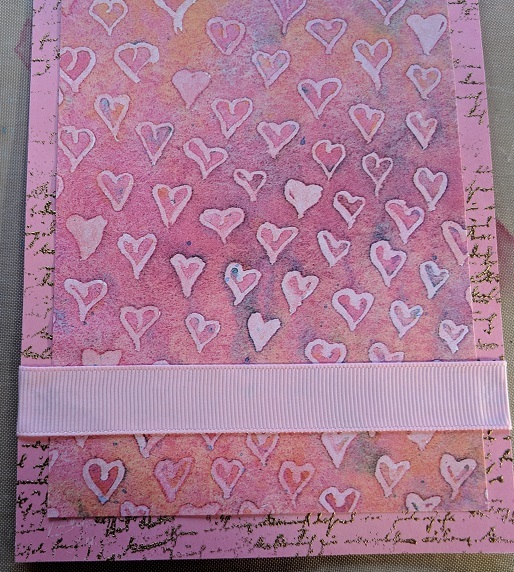 I know it is only January but it is time to get started on those Valentine projects that you have been waiting to do until after the holidays. I wanted to create a card for my hubby as this year we will celebrate 33 years of marriage, I can't believe we have been together that long! 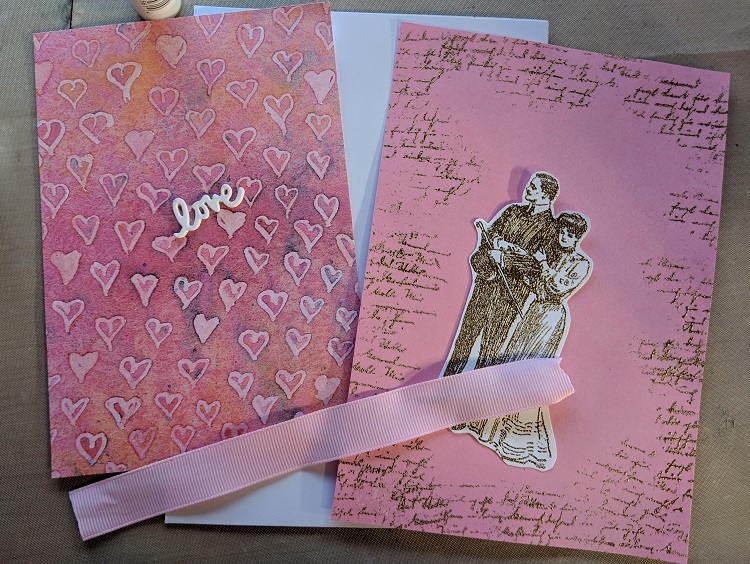 With the Versamark ink, stamp the Romance Classic Couples onto white cardstock, the Script stamp around the edges of the pink cardstock and the medium heart from the Hearty Doodles onto the left-hand corner of the envelope. 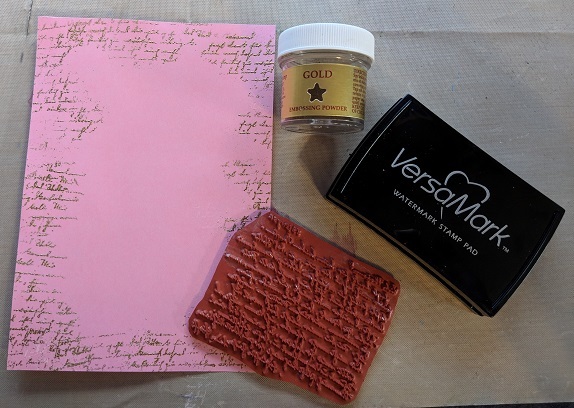 Sprinkle the still wet stamped images with gold embossing powder, shake off excess and heat emboss. Layer your papers as shown. 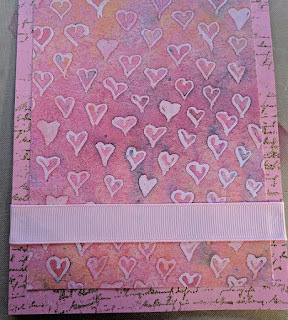 Place your ribbon at the bottom of the card and secure the ends at the back of the card. Die cut up to 5 love words. 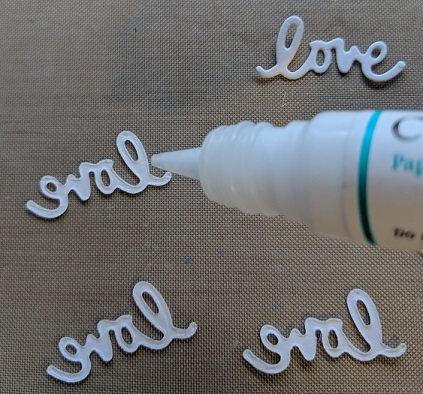 Glue each one together. This will add dimension. Adhere to the card. Attach the gold embossed couple to the card with foam tape. Stamp and gold emboss a small heart on the upper left of the card. Hope you enjoyed this card and watch for more Blank Page Muse designs soon. 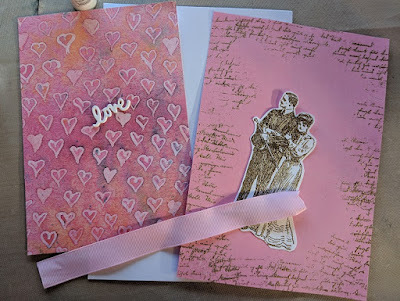 Love your romantic Valentine card, so much texture and color and vintage flair. Such creativity and fun stamping! Thanks for sharing!